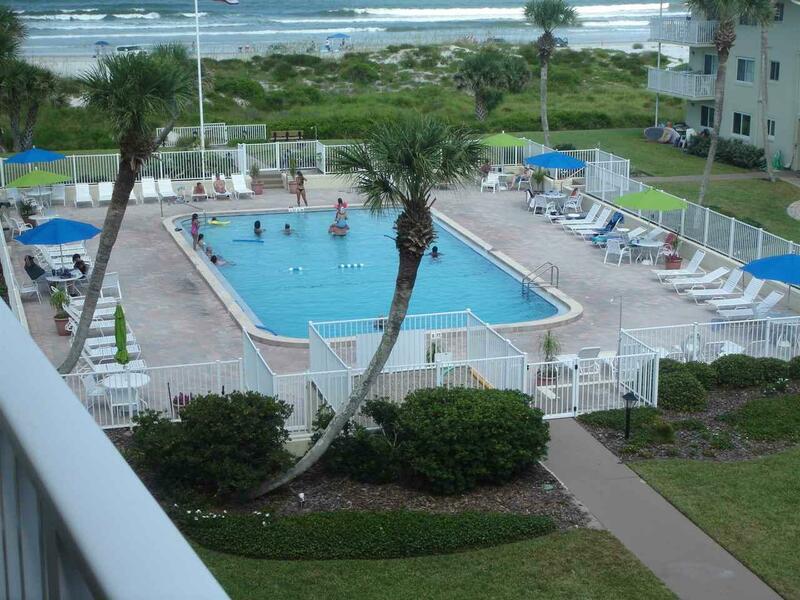 Picture #1 is the actual view from your balcony! Remember, you can change a lot of things about a condo, but you can't change the VIEW --- and this one's got it! 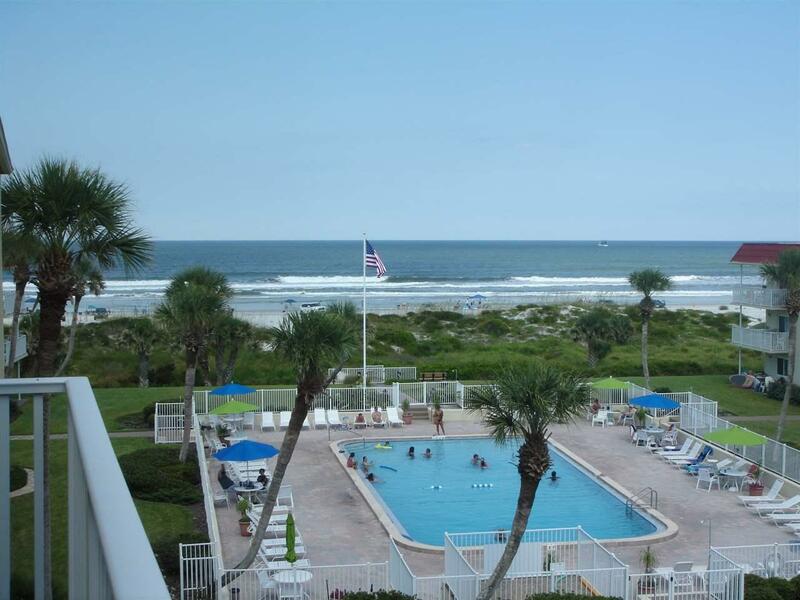 This is a top floor (4th) elevator-access, single-story condo in a prime location with a fantastic ocean view. Spanish Trace is one of the most sought-after complexes on the beach, and it is maintained impeccably! Only 60 total units give it a boutique feel. This top-story unit (nobody above you!) 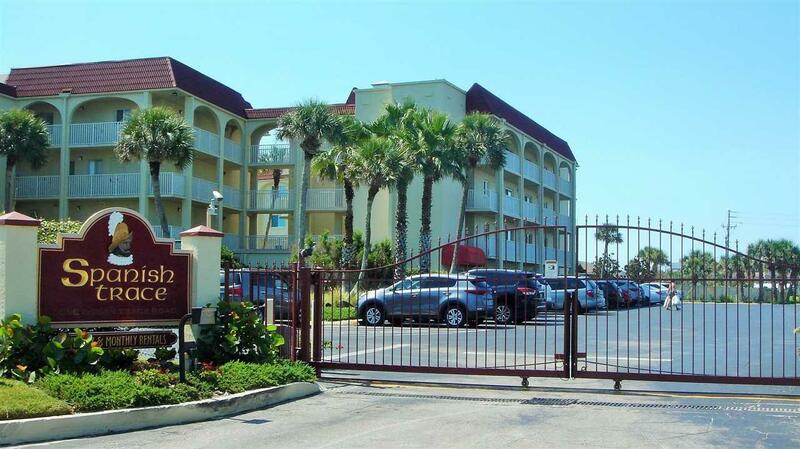 has a large living/ding room, huge eat-in kitchen, two large bedrooms, and two full baths. Tiled throughout, and fully furnished. Brand new TVs in each of the bedrooms. Brand new balcony furniture. This is an elevator-access building, and once you reach the 4th floor, #456 is only 30 steps from the elevator. 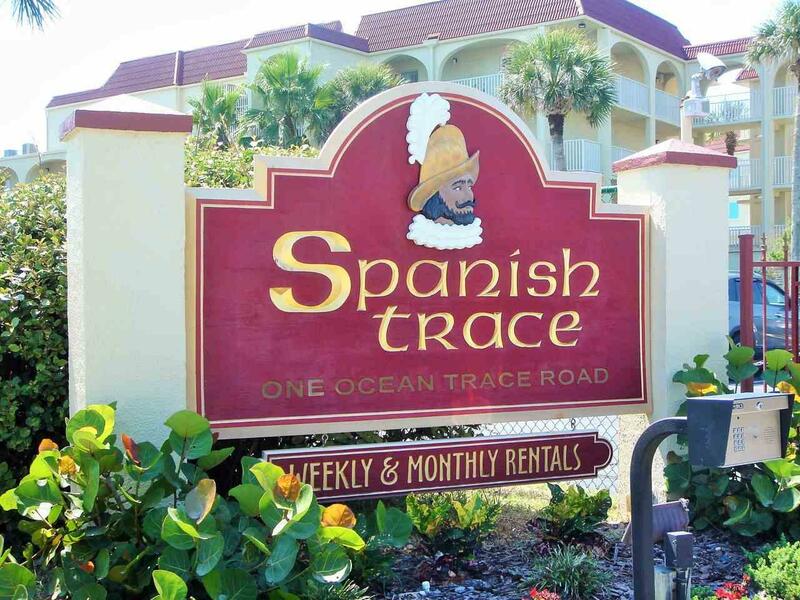 This is the first 4th floor unit to come available in Spanish Trace since 2009!